One of the most under-researched and under-publicized areas of environmental health in the United States is the systematic depletion, degradation, and destruction of the Appalachian Mountain Range since the early 1970s through “mountaintop removal” — a form of rapid surface mining that involves the removal of the summit or ridge of a mountain top using explosives and extractives. This approach is considerably cheaper and faster than conventional mining methods, meaning that its economic benefits to the corporation most often outweigh the clear environmental and social impacts it has on surrounding communities. In this post, I will use an Environmental Impact Assessment (EIA) to illustrate the countless negative impacts of this practice on the people, the planet, and the profits of this vulnerable mountain region. By using the specific case of Spruce Mine No. 1 in West Virginia, it is my hope that this post will serve as an example of the broader issues across Appalachia while also providing the space to suggest viable alternatives for the both the degraded land and the energy system more broadly. As this assessment will demonstrate, a Strategic Environmental Assessment of Spruce Mine No. 1 should have been done long before it and dozens of other mines were licensed to operate. Given the widespread and systemic persistence of mountaintop removal (despite its credible ongoing criticisms), it is necessary to approach this issue firstly from an EIA approach. Once addressing the impacts in this way, I will extend the analysis to a Strategic Environmental Assessment (SEA) to propose some ideas for the strategic conversion and re-appropriation of destroyed mountain ranges to ensure as much conservation and protection as possible, in addition to broader considerations for the root causes at work such as energy supply, consumer demand, political alliances, and others. It is important to note that despite these and any other impact assessment and mitigation measures, there is no doubt that considerable and irreversible damage has been done to this diverse biological, cultural, and historic heart of America. Spruce Mine No. 1 is an existing surface coal mining operation (or mountaintop removal site) in Logan County, West Virginia, which was originally permitted in 1998 by the West Virginia Department of Environmental Protection Agency (WDEPA) to Hobet Mining Inc., a subsidiary of Arch Coal, Inc. (7). At the time, the site was the largest mountaintop removal mine permit in history — spanning 3,113 acres and creating five valley fills that would permanently fill six miles of streams and directly impact more than ten miles of streams (8). Inadequate or downplayed assessment must have been conducted at this stage, as the perceived effects even then were worrisome and extensive. As the mine continued to pollute the air and the water, the EPA continually tried to legislate against them but its power was limited by continual Congressional battles about the extent of its authority. However, when the Spruce Mine requested an expansion in 2002, an extensive EPA-veto process began, which sparked the flip-flopping of local, regional, and national governments and had resulted in a decade-long battle over permitting Spruce Mine to expand and continue operation, particularly due to waste dumping, water quality, and air quality. As you will see, this story has a happy ending – for now. Ideal | If an early Environmental or Strategic Impact Assessment had been conducted and adhered to before the start of mountaintop removal (and the Spruce Mine in particular), the excavation may have been permitted if and ONLY IF the mines adequately managed the air and water pollution associated with its activities, handled its own waste management programs, and provided conversion strategies for the excavated land to return it to a reasonable condition that would promote the former biodiversity of the area. 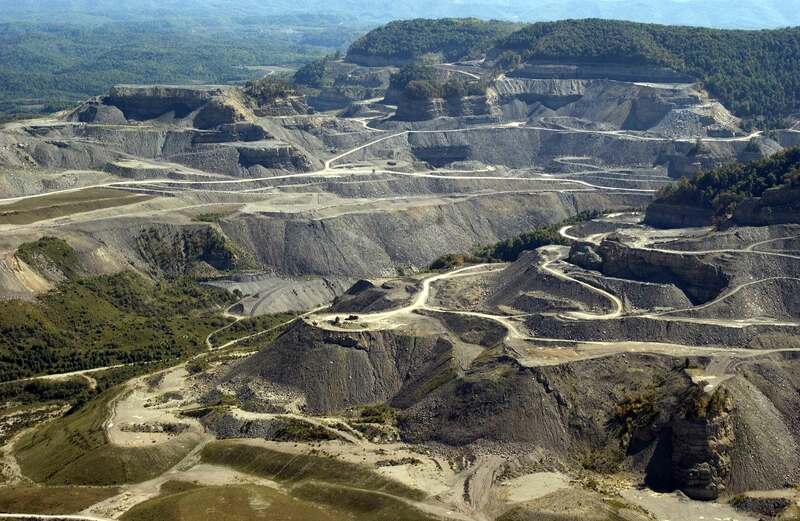 Given the intensity of the abusive environmental impacts of mountaintop removal, the mitigation needs would likely have outweighed the economic benefits and de-incentivized corporations from investing in such practices. Reality | The EPA only recently has been empowered last month to conduct and act on the provisions of the Clean Water Act against the Spruce Mine. The Clean Water Act is legislation which was passed over 40 years ago with bi-partisan support and has wavered because of disagreements over the EPA’s jurisdiction and authority (13). Despite this advancement, there are countless impacts that went without important mitigation measures over the past decade that simply cannot be reclaimed. Ideal | Assuming that an adequate Environmental or Strategic Impact Assessment would have been conducted before the Spruce Mine construction and excavation, it is likely that the mine would have operated under strict monitoring from the EPA based on its jurisdiction over the Clean Air Act and Clean Water Acts, thereby reducing harmful impacts that would affect human health. Despite these potential successes in air and water quality, the EPA would have still had difficulties in preserving the biodiversity of the area, as their power was and is limited to Acts and not recommendations — meaning that if no formalized act exists on biodiversity, the EPA would have still struggled with preserving this element of the environmental impact. In an ideal scenario, civil society groups and local government would step in to urge corporations to curb the amount of cleared space needed to perform the extraction, ideally preserving maximum biodiversity. Reality | Given the oscillating judicial and legislative decisions around this case, it is evident that not only do local, regional, and national governing bodies disagree over various stages, phases, and impacts of the project throughout its lifetime — but it demonstrates a critical gap in the legislative power of the EPA. This has been a historically challenging issue for the Environmental Protection Agency, which struggles under the weight of expansive responsibility and limited monitoring capabilities. This will be a fascinating case to follow in the coming months, considering Spruce Mine No. 1 has been one of the most threatening and tumultuous cases of mountaintop mining in history. Now that the EPA has finally secured the authority to shut down the mine, the people and environment of the surrounding region can breathe a sigh of relief. Yet even if the mine is closed down, irreversible damage has been afflicted to the region. Even if waterways are cleared and air recovers over time, the land itself will never return to its natural forestation or biodiversity. So what can be done about the situation? It may be a belated but critical time to employ Strategic Impact Assessment to determine next steps for this destroyed region. Through a brief use of a Strategic Environment Assessment (SEA) in determining the Scoping of the problem and the Alternatives to the landuse in this region, there are some interesting proposals emerging about the possibilities for this afflicted area. With these broader strategic issues in mind, some institutional solutions could include: stringent fines and fees for the corporation, broader economic models for carbon emissions regulation such as cap and trade or carbon tax, the strengthening of EPA legislation and regulation, and government transparency on political-corporate alliances. More sustainable solutions could include: the cohesion of researchers and advocates through targeted alliances and conferences and capacity-building in local communities on engaging with government, supporting transparency initiatives at all levels of government, and conducting accurate needs assessments in the community. As the image above suggests, the possibility for creating similar clean energy potential with smaller or similar size exists, but it would require significant financial investment ($180 billion). However, such an investment would provide the amount of jobs lost (10,000) in West Virginia, avoid significant environmental and social impacts, and provide renewable and reliable energy to the region. Like all renewable technologies, the biggest hurdle is the initial investment, which is why traditional energy systems like mountaintop mining have been so successful thus far. Although this case underscores the complexity of financing the energy demand, it does prove that renewables are capable of producing equal energy with much lower impacts. This may not be the best strategy for the reversion of this land, but it is an interesting proposal that has emerged in the debate and surely considers some of the broader strategic influences at work in this case. In the end, a smart assessment and mitigation strategy absolutely must produce a healthier future for this vulnerable community that has struggled under the weight of intensive and abusive mining practices for nearly 50 years. The suffering must end and the system must be changed. It is my hope that these recent advances in EPA regulation and mounting support for strategic re-appropriation bring a new era of prosperity to this region, while also bringing justice to the corporations who have long violated the economic, social, and environmental health of Appalachia’s 2,400 km of land and 23 million inhabitants.